Soma Gompa is the easiest to find of the four temples that are considered part of the Leh palace complex. It sits just below the palace entrance, next to an open courtyard that was once the stables for the palace. 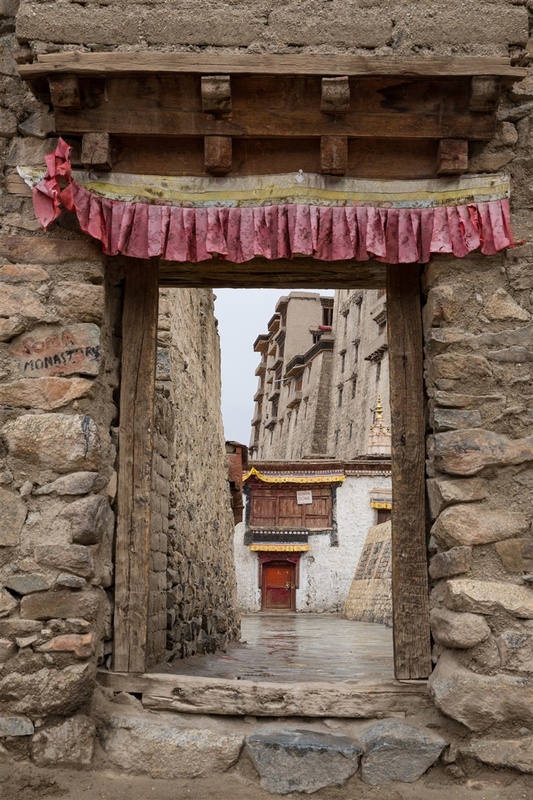 Whilst locating the gompa is easy, getting access to the interior might be more of a challenge. As with all of the temples near the palace, the times that they are open are seemingly both random and sparse. Early morning appears to be the best time to try and see Soma Gompa, although even then it took me five attempted visits to finally be successful. This is a relatively recent addition to the palace complex. 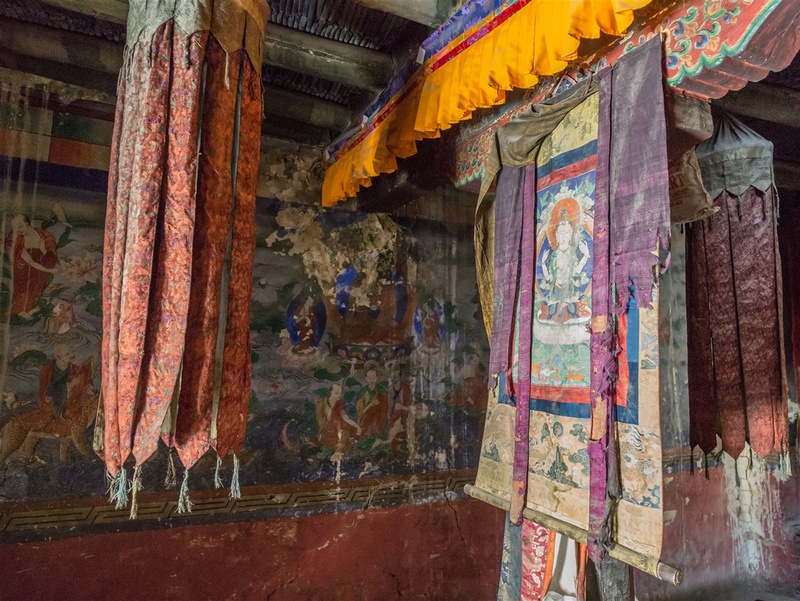 It was built in 1840 by Lama Tashi Tenpel and was until the 1950s one of the main Buddhist temples in Leh before a new and much larger temple was built down below on the Main Bazaar Road. The new temple is far more accessible to the growing population of Leh, many of which have moved out from the crumbling old town of Leh that lies immediately below Soma Gompa. Somewhat confusingly, both the old and new temple are now known as Soma Gompa, although the newer temple is actually marked as “Jokhang Gompa” on maps. 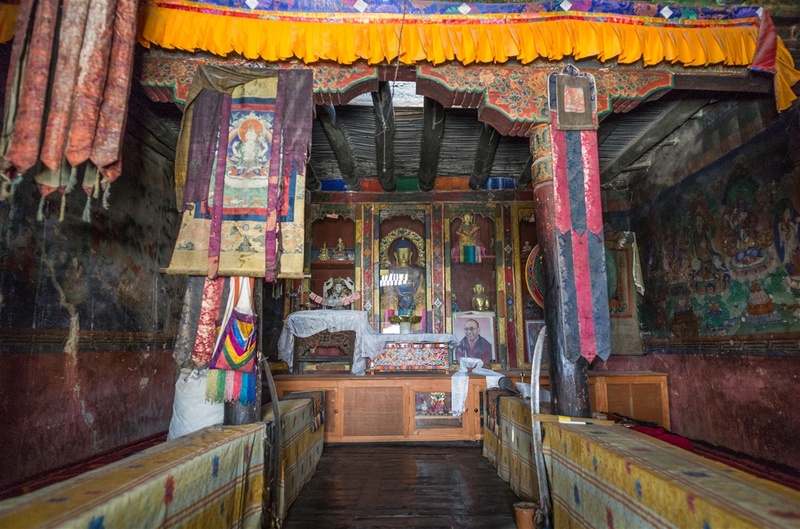 The shrine is small, with a central image of Sakyamuni flanked by a marble Avalokiteswara on the left, and Guru Rimpoche (Padmasambhava) on the right. Guru Rimpoche was an Indian tantric missionary who helped spread Buddhism in Tibet. 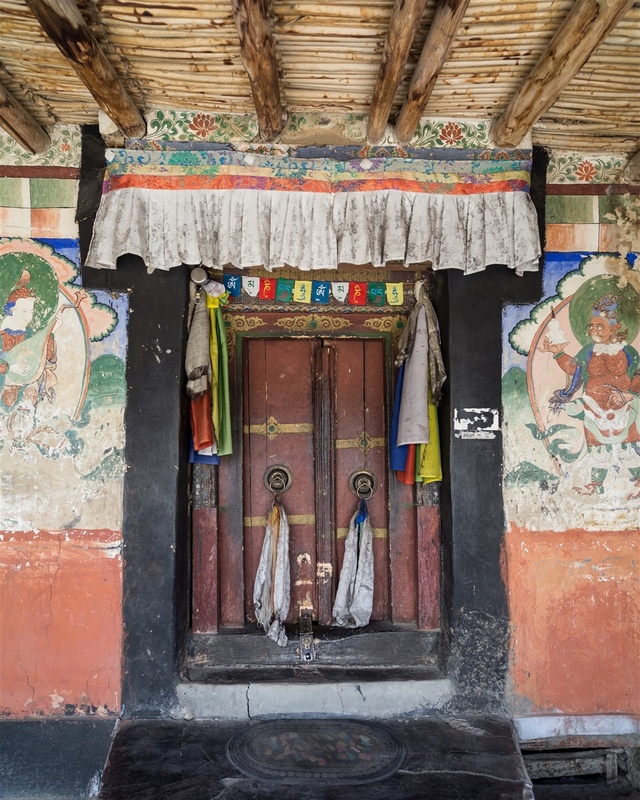 Under the guidance of the late German restoration expert Andre Alexander, the Tibet Heritage Fund (THF) initiated the Leh Old Town Conservation Program, which has identified historic structures for preservation. At Soma Gompa, the THF re-paved with slate the courtyard where dances and ceremonies are held during the Ladakhi new year. They also restored the surrounding gallery with its graceful row of timber pillars and plastered walls with narrow windows.